Or maybe Subaru sees a market trend? It’s clear crossovers and SUVs are becoming the standard vehicle in the American automotive market. 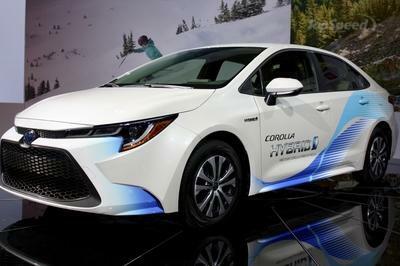 Automakers see this trend and are responding to consumers. SUVs of all types, whether it be a 707-horsepower Jeep or an off-road Toyota focused at millennials, the high-riding craze is certainly gaining momentum. 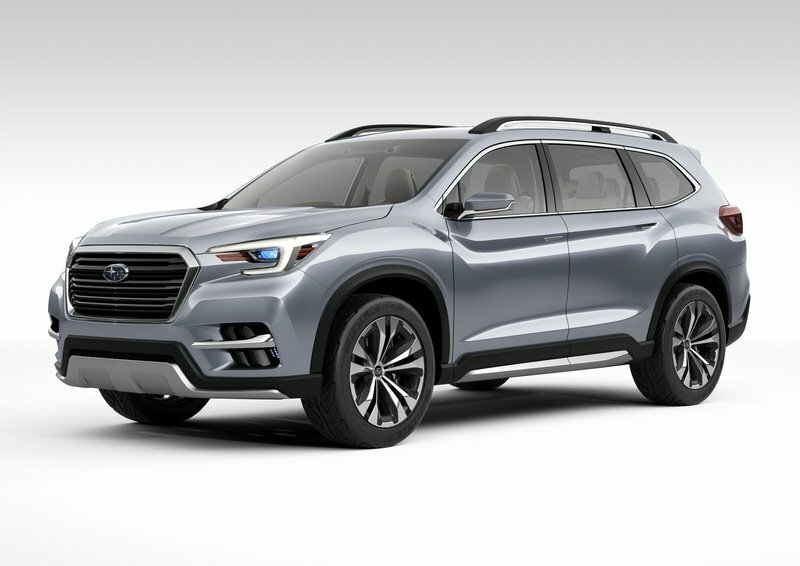 Well, Subaru has responded with this, a three-row crossover called the Ascent. It’s only a concept for now, but Subaru will bring it to market for 2018. Let’s just hope the production version looks this cool. Subaru calls the Ascent’s styling theme “Dynamic x Solid,” which is an interesting oxymoron. Quite the opposite, though, is Subaru’s lack of a vehicle with more than five seats. With the death of the ill-fated Tribeca in the first months of 2014, the Japanese automaker has been without a family hauler. That left the Forester as its largest model, but only in size. 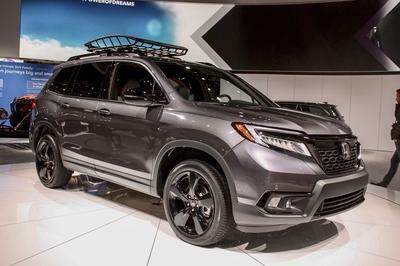 Competition from Ford, General Motors, Honda, Toyota, Volkswagen and even Dodge is getting strong, so the Ascent definitely has a big mountain to climb. Subaru was shy with information at the 2017 New York Auto Show, but we’re expecting more details and a debut of the production model in the next few months. What information Subaru did share is below the jump. 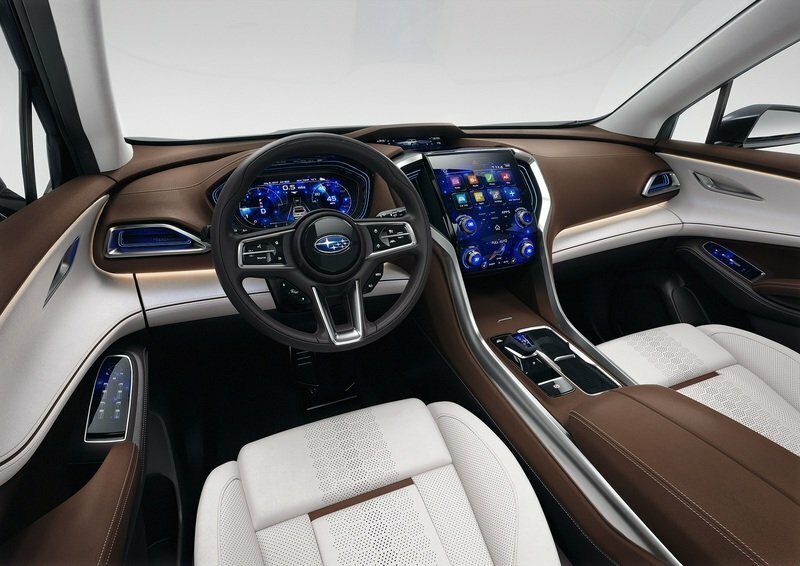 The Ascent concept gives direction to Subaru’s forward momentum over the next few years. Clearly paying attention to consumers’ buying habits, the investment into a three-row people hauler is a smart move. Sure, the Tribeca failed miserably in ways rarely seen in modern times (having been the worst-selling vehicle in 2011 and 2012), but Subaru has to recover. And honestly, the Ascent looks like an honest and hearty try. 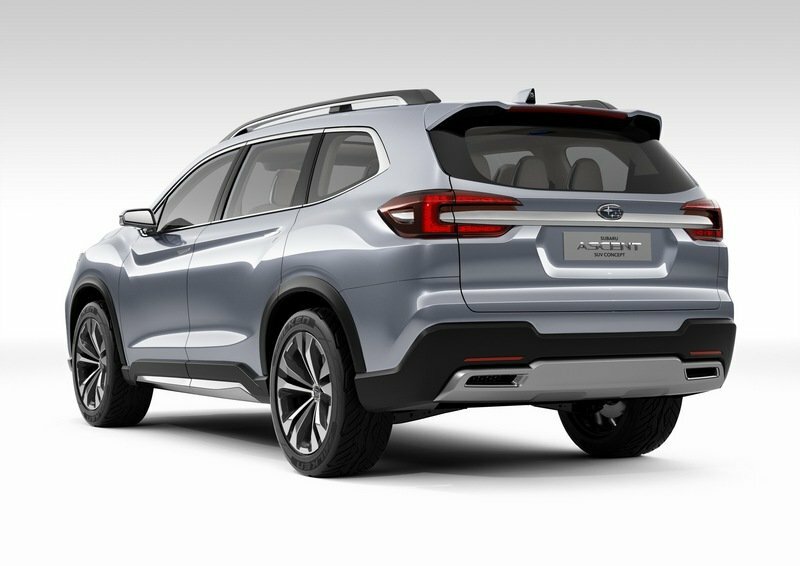 The Ascent concept gives direction to Subaru’s forward momentum over the next few years. The Ascent’s styling is modern yet still recalls the theme of the current Forester. 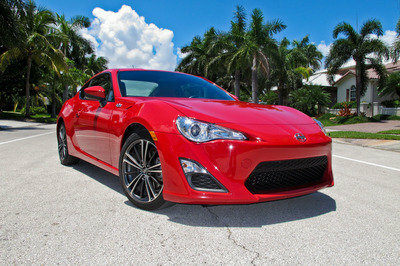 The six-sided grille and double-bar grille matched with the C-shaped headlights gives it that familiar look. Strong character lines in the wheel wells and door panels inject some athleticism into the design. The five-spoke, 21-inch wheels look production ready, though the 275/50-series tires are typical concept tires. 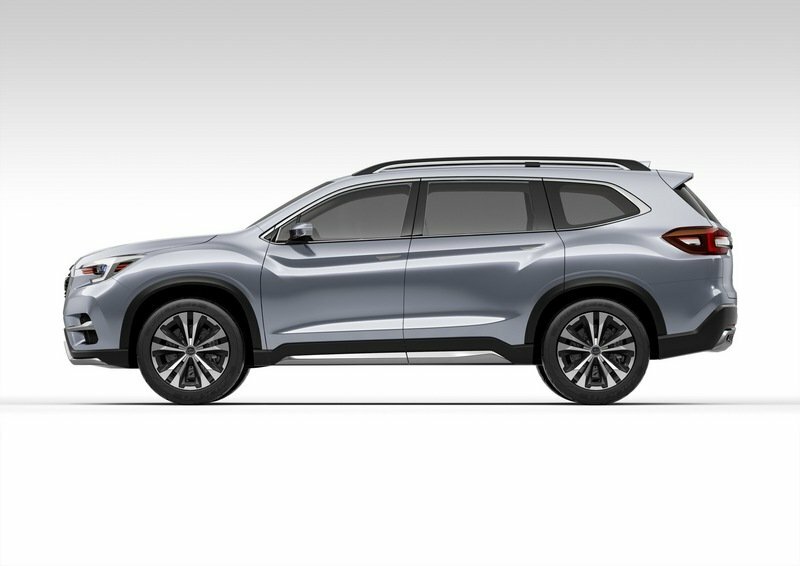 In all, the Ascent’s exterior looks nearly production ready. The headlights and fog lights might be toned down and the side mirrors made larger, but otherwise, this could hit showrooms tomorrow. That’s a good thing because Subaru doesn’t have much time before the 2018 model year begins. The interior is where things get a little strange – but not in a bad way. The dashboard is a wee bit futuristic for current times thanks to its large touch display and touch-sensitive on the door panels. This is the first time we’ve seen touch controls for windows, door locks, and side mirror adjustments. While the dash is no more futuristic than that of the 2018 Range Rover Velar, the Subaru Ascent won’t be competing in the Velar’s price class. The controls look awesome, but it’s hard to imagine Subaru selling this for under $50,000. The Ascent is designed to seat seven people in a 2+2+3 configuration with second-row captain’s chairs. The Ascent is designed to seat seven people in a 2+2+3 configuration with second-row captain’s chairs. And like any good SUV worth its salt, the second and third row chairs fold flat, creating a cavernous space for cargo. Subaru says an all-new turbocharged boxer engine with direct fuel injection will power the Ascent and it will ride on the Global Platform, which debuted last year. Of course, AWD will come as standard equipment. The SUV will be built at Subaru’s Lafayette, Indiana assembly plant.